Sarcastic Opportunist | I write anything that I find interesting…. Why do Bengalis from Calcutta look down upon the Hindi language? It’s a superiority complex that the Bengalis of Calcutta have. They look down upon anything not related to them. Most of the Bengalis of Calcutta have two different origin. The Bengalis who resided in the city for more than 150–180 years, the others are Bangladeshi immigrants. The second are the dominant. They have a tendency of dominating everything and when they do not win they use tactics to demoralize the opponents. Like, they mock the Bengalis of Midnapore and Bankura district for their strange accent, not realizing their own accent is extremely hilarious. They have a superiority complex over the Bihari and UPites as these people mostly come to Calcutta to do menial jobs and these Bhodrolok babus of Calcutta gets a reason to mock not realizing that not any job is small. These things are mostly cultural. I am a resident of West Midnapore district and I have faced these problems from the residents of Calcutta! 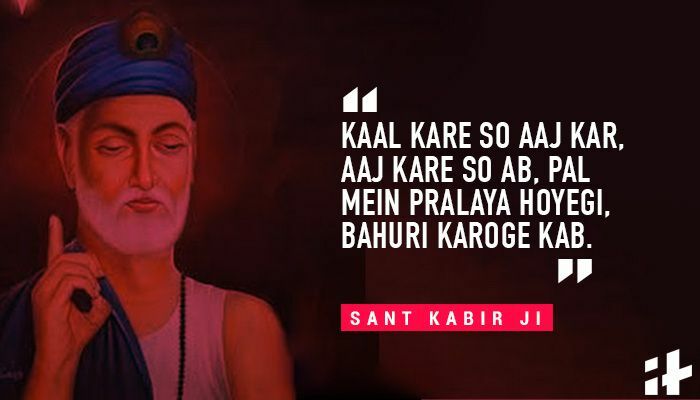 How come Kabir is so popular as a philosopher but did not leave behind any cult or religion after him? Did all philosopher leave behind a new cult or religion? I guess not. Plato was a great philosopher, so was Aristotle and Socrates. Did they leave behind new religion or cult? No. Philosophers are seekers of truth. They do not promote any cult or religion. They are mainly teachers. They seek truth and tell the world about it. Truth, on the other hand is very relative. That is the reason no two philosophy is same. That is why, Indian philosophy talks about nothingness and Western philosophy talks about Heroism. All these are perspective truth. Truth from the point of view of a person. Lord Buddha, the founder of Buddhism never taught any new religion. All he did was he questioned the existing practices, and gave his Truth to the world. His followers did get separate from the dominant Brahminical religion and started following Buddha’s path, that came to be known as Buddhism. This is the reason Kabir’s dohey is still revered and he is considered as a great philosopher. Is it okay if, at the age of 19, you have a new crush daily? 18–26 is the age where you meet a lot of temporary people in your life. Having a new crush daily at 19 is very common. We are mostly new to college. Most of Indians study in Boys schools or girls schools, where they are not very acquainted with people of opposite gender. Just take a chill pill and enjoy having crushes. Having a crush won’t crush your heart. How does a Bengali, staying outside West Bengal for work or education, feel during Durga Puja? I am a Bengali working in a mining project in Chhattisgarh for the last 6 years. And in these 6 years, I have been home only 2 times during the Durga Puja. If you are here, you won’t feel the Puja is ongoing! Most people celebrate Dusshera but the charm of Durga Puja is not there. I have had a blunt feeling during these years when I’m here. It’s a NUMB like situation where you don’t feel the craze. But somewhere, deep in my heart, I do miss my home. 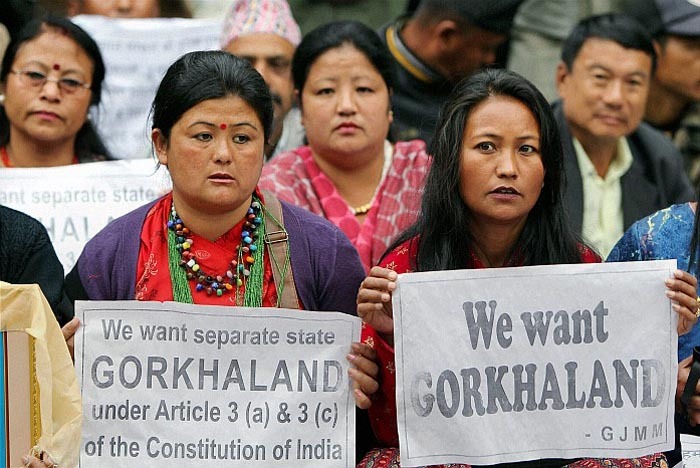 Why do the Bengalis hate the idea of Gorkhaland? The problem of Gorkhaland is not a fight between the Bengalis and the Gorkhas. It’s a fight of inclusion and non-inclusion. Mainland Bengalis (from Kolkata) has a very weird idea of Bengal. For most elite, Bengali of Kolkata are the real Bengalis. Others are just Bengali speakers. This mentality comes from the Bhodrolok culture of the mid-nineteenth century. The bhodroloks of Kolkata have their elite education from elite schools and colleges and they are always a dominant figure in Jobs, cinema, art and culture. Their dialect of Bengali is considered as the face of Bengali language. On the other hand, there are Bengalis from districts, who speak in their own accent, often study in district level schools and colleges. They are definitely not a part of this bhodrolok culture. Forget about the Gorkhas for a while. There are so many other tribes in Bengal who are integral to Bengal. The Santhals, Mundas, Lepchas. Are they considered to be part of Bengal fraternity? Certainly there are people who are compassionate with them, but are the bhodroloks concerned? (refer Agantuk, by Satyajit Ray). Urdu, a language alien to West Bengal is being given priority in state affairs. Is Nepali being given the same status? Is Santhali being given the same status? To support or not to support is purely an individual choice. But to make all the residents of Bengal inclusive, should definitely be a matter of principle. Start making them inclusive, show compassion to them, make them feel at home. We can make the Bangladeshi refugees a part of our society, why can’t the sons of soil? Inclusion will definitely make the situation better for everyone. Unity among diversity, the motto that binds India shall bind West Bengal. A few pics of Biratnagar Market in Nepal.